Energized by a bitter fight over a U.S. Supreme Court justice nominee, thousands of women were expected to march Saturday in Chicago. 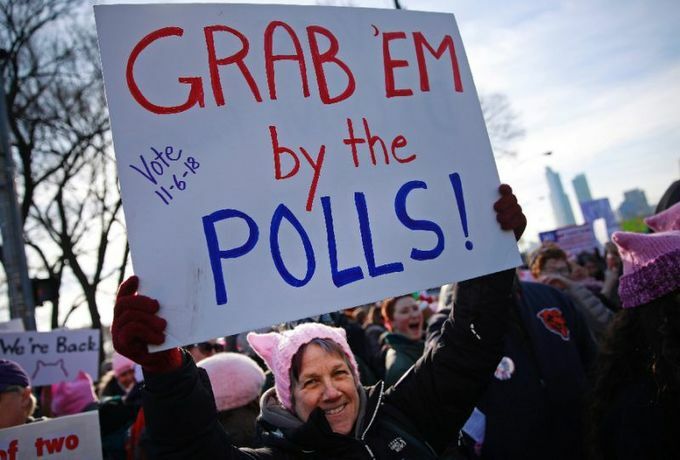 They also planned to cast early midterm election ballots against the "anti-woman agenda" of President Donald Trump's administration. The appearance of the "Baby Trump blimp" - as dubbed by British media - will be the first at a major American protest.